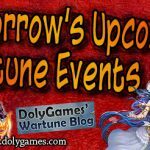 Hey everyone, in this article I share the Wartune Events for the 15th of June 2018 (article + video)(New World Cup Cycle Beginning). BUT this time new World Cup events and event items have been launched, so please see below + Hot Exchanges + Lucky Exchange and also a replacement for War Remains has been launched with additional mounts! 200 Event Chest Exchange – 4 days: They had cancelled this one and now it is back. Various items available. I would not recommend to do any of these trades unless absolutely needed. Me too. Historically they didn’t give a damn about similar problems that players may have such as getting stuck with event items, but in this case it seems they may have a new and more professional employee who actually thought more properly about the situation (thus the not direct 1:1 exchange but 3 to 2). Wartune let you to exchange, NOT r2.